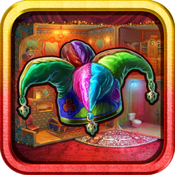 Hidden Object: Toy House - Dream Come True is a fascinating iOS application that suggests days of youthful treasure and scavenger hunting for game players of any age. Recently updated to include new gaming characters, additional levels and new game balance, this 2014 release is a new iOS application in the portfolio of iPad and iPhone development brainchild Antonis Lazarou. This simple application is available in several languages and has a universal appeal that is appreciated by anyone who has ever played hide and seek or any other discovery style game as a child. The small size of the application, coming in at a tiny 33.6MB provides superior graphics and sound without taking up too much room on even the smallest devices storage drive. Available on either iPad, iPad Touch or iPhone, this mobile gaming application can be played on any Apple mobile device with iOS version 4.3 or later. The application is specifically optimized for iPhone 5. Toy House - Dream Come True is based on the story of Linda, who has lost her toys and is in a desperate search to rediscover her long-lost treasures and to move them to her toy bag. Along the way, she will face such obstacles as hippos, helicopters and other toys that she must move to uncover and reallocate her lost objects. As she moves obstacles and moves through the levels, she will discover hints and suggestions, as well as tricks that will make her journey to rediscover her lost objects and find her way home easier. Getting lost is a possibility, so she has to make sure to choose what to do wisely. This is important to successful game play and and helps to build decision-making skills while providing wholesome enjoyment. Hidden Object: Toy House - Dream Come True is a pure hidden object game and requires no special language skills to play. The game play is simple enough for young children to play and yet still entertaining enough to keep adults pleasantly entertained. There are over 150 objects lost that are found in 10 unique locations allowing for simple yet engaging hours of play. The simple story and aims encourage exploration, creative thought and thinking skills. The goal of the game is educational and intellectual. The addition of leader boards give the added incentive for those who have the competitive spirit to challenge themselves or others without making rivalry a central theme. The audio and visual effects that Toy House - Dream Come True uses are simple and effective. Actions are rewarded and guided by consistent audio cues and there are no special language skills needed to play. There are also simple and intuitive navigation menus that help guide the user through the gaming interface that are available in several languages. Vibrant colors and intricate animation is used throughout the game to constantly keep the user visually engaged and attentive. Use of complex light and shading give this application the ability to provide an excellent visual experience without distracting people from the object of the game play and its simplicity. The graphic artistry in Hidden Object: Toy House - Dream Come True is one of the main features so many people continue to play this otherwise uncomplicated game over and over with such enthusiasm. If you are looking for a nonviolent and age appropriate source of entertainment on your portable device for a young child or even for yourself as an adult, then Hidden Object: Toy House - Dream Come True is an excellent choice and deserves to be on the top of your download list. The application's simple game play, visually stimulating graphics, effective sound cues and navigation menus make it an ideal application any experience level or device placement. Multiple language support, the recent addition of more characters and frequent updates for appended features and continued stability make it popular worldwide and a solid choice for long time use.